3. In a large bowl, toss spears with the oil, salt, and pepper. 4. Place spears in a single layer on a large baking sheet. Lining the baking sheet with foil or baking parchment will help with clean-up. 5. 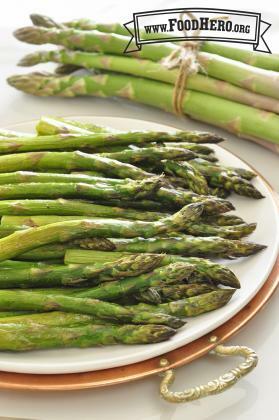 Roast for 12 to 15 minutes or until the asparagus pieces are lightly browned. Thick spears will take a longer baking time.